Oxoniensis Comitatus descriptus. 1651 Jan Jansson Tooley Adams & Co.
Oxfordshire. 1673 Richard Blome in Britannia Robert Ross & Co. 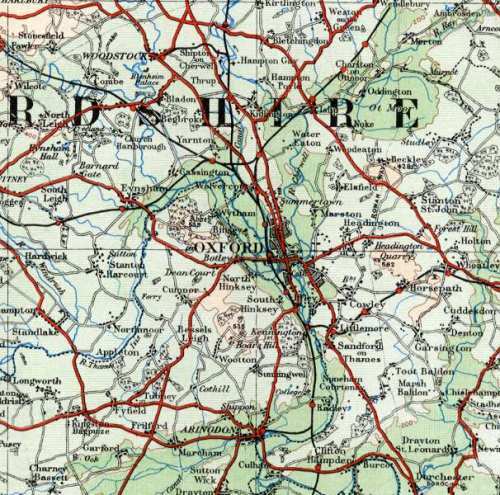 The Road from... Banbury to Bridgenorth and to Campden. ca.1765 Gentleman's Magazine. The Road from... Islip to Bramyard. ca.1765 Gentleman's Magazine. The Road from... London to Islip. ca.1765 Gentleman's Magazine. Oxfordshire. 1797 Benjamin Baker in The Universal Magazine of Knowledge and Pleasure. Oxford. 1808 engraved J. Roper, from a drawing by G. Cole. Banbury. 1835 Robert Creighton, engr. J. & C. Walker for Lewis's Topographical Dictionary. Oxford Colleges. 1836 James Bingley in Thomas Moule's The English Counties Delineated; or, A Topographical Description of England. Oxfordshire. 1848 Robert Creighton, engr. J. & C. Walker for Lewis's Topographical Dictionary. Oxfordshire. 1852 or 1854. Sydney Hall in A Travelling County Atlas. Oxfordshire. ca.1863 Edward Weller in The Weekly Dispatch. Oxfordshire. 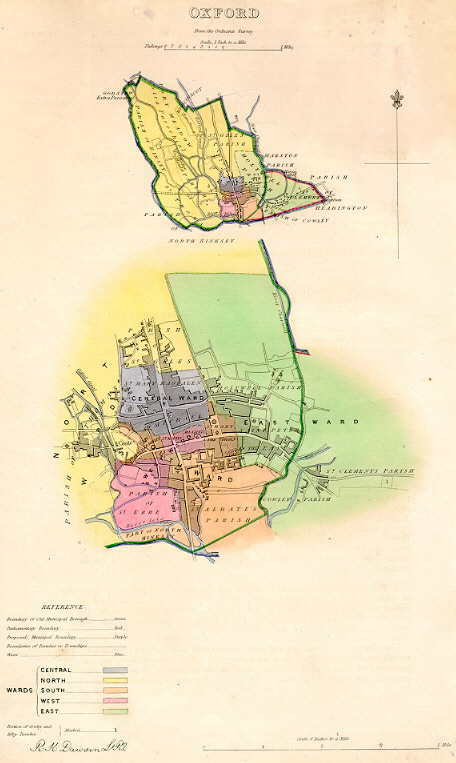 1885 Report of the Boundary Commissioners for England and Wales. 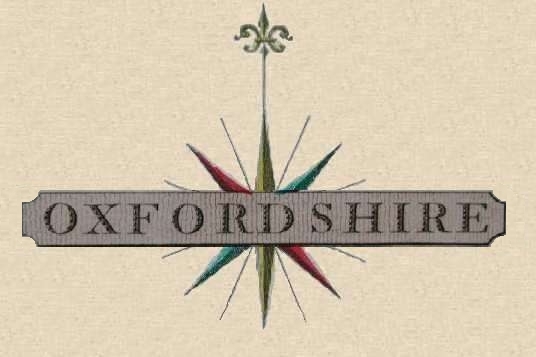 Oxford-town plan. 1891 Edward. C. Alden.